Are you planning to travel for business or to take a vacation? Whatever the reason for your travelling, there are a few airport hacks that you should learn to ensure you don’t miss a flight or wait in a long check-in queue unnecessarily. Most people don’t plan beyond hailing a taxi to rush to Toronto Pearson International Airport. However, there are several ways you can make your journey an easy one. To find out what they are, read this blog-post by Airline Limousine. Many travellers assume that limo services are expensive compared to taxis, and it is true if you just look at fare cost. However, if you evaluate everything like potential cost and overall service, the equation looks different. 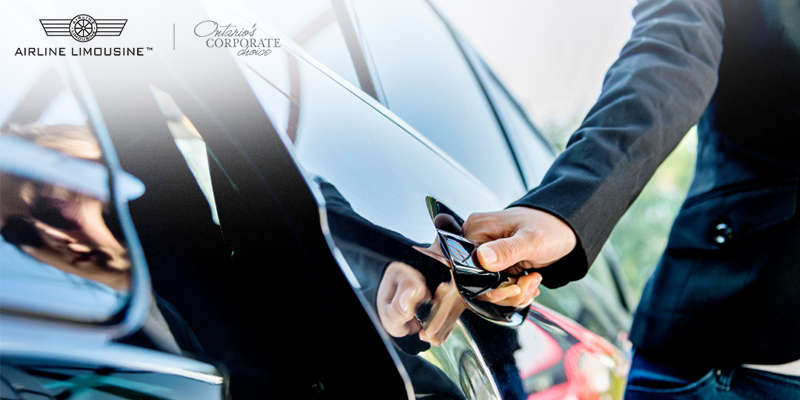 Limousine service providers incorporate every potential cost into their fee. Transport, parking, tolls, etc are combined and charged in a single bill at the time of your booking, unlike a cab. There’s also the added benefit of limo chauffeurs being experienced, professional drivers. They can ensure you arrive at your destination on time and without any unwanted delays. Instead of relying on an internet connection, you can take a screenshot of your boarding pass after booking the flight to save time by avoiding a line for the airport printer. To be safe, you should also keep a hard copy of your boarding pass in case your mobile runs out of battery. A portable charger can be a real lifesaver as you can charge your phone, laptop and other electronic devices on your way to the airport or when you’ve boarded the flight. Staying connected is necessary especially when you’re travelling for business. You should keep your laptop, mobile phone and other electronic gadgets in your handbag or backpack to avoid becoming late at the security line. As you have to take out all these devices for the scanner, keeping them in a separate bag is a good idea. 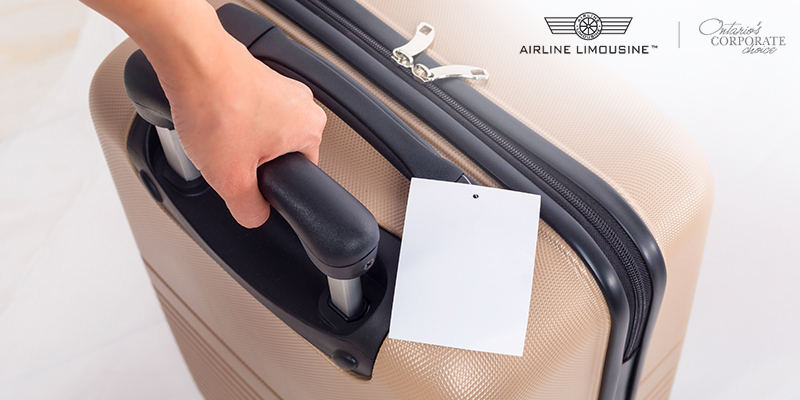 Mark your luggage with a tag or bright coloured ribbon that can help you to easily identify your bag. You will also save time and won’t have to wait longer at the queue to get your luggage. Many people prefer not to eat out when they are travelling. If you’re one of them, then you should carry a light snack in a disposable container. Try to avoid gravies, sauces and oil-soaked foods that can drip or spill to stain your clothes or bags. Generally, airports are over-airconditioned and you might feel cold which is why carrying extra warm clothes may make your trip more comfortable. You can wear an extra coat or sweater to keep yourself warm. If you’re travelling with kids, then you shouldn’t skip this hack or else you may have to buy some warmers from the shops available at the airport. When you check-in a day prior to your travelling date, you are saved from the pain of standing in the queue on the day of your flight. If you’re running late to the airport, this little extra bit of time may help you to avoid missing your flight. You should always take a photo of your luggage and keep it saved on your phone. By doing so, you can remember your bags easily when you have to claim them. If you lose your bags, then you can show the picture to airport authority so they can better assist you. Maintaining hygiene is always necessary but this becomes all the more important when you’re travelling. The flight trays carry many germs as many people touch them before they are serviced. Always clean your hands before eating or sanitize with your wipes them to avoid spreading germs to yourself or your stuff. Immigration and security checks are important processes when you’re travelling to a foreign land. You must carry all the crucial documents like your passport, visa and other certificates if you are moving to or travelling to a new country. Without these documents, you may not be allowed to enter. 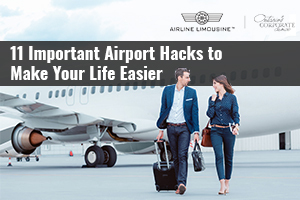 With airports becoming busier and traffic delays getting worse than ever, it’s important to have a few time-saving airport hacks handy to ensure you get where you need to be on time. After all, nobody wants to miss their flight and ruin their travel plans!